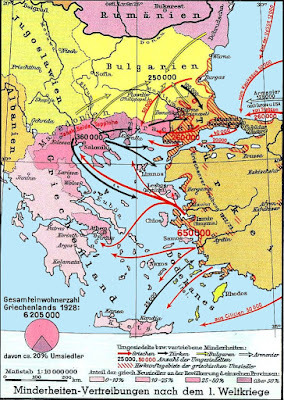 The dissolution and destruction of Romiosini was planned and promoted by the Franks and "curiously" appeared in the neograic circle of Adamantios Koraes and "strangely" included in the first constitutions of Greece, as we saw. The design of Adamantios Koraes was enforced on the new Greek state, namely: monasticism and the Church in general must adapt to European standards, as had happened with Russia during the time of Peter the Great. This is how the new Church of Greece became flooded with architecture, music, iconography, as well as theology and spirituality strongly influenced from Russia and Europe. However between the years 1912 and 1924 things began to change. 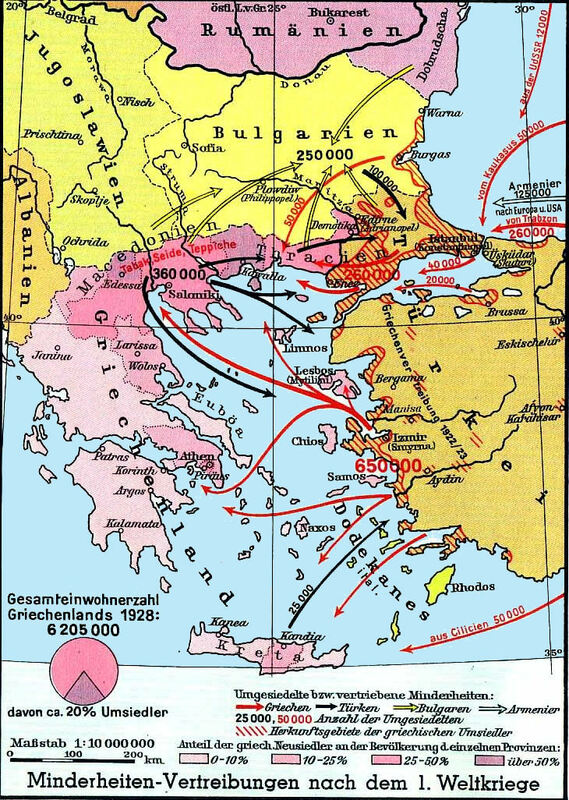 The borders of Greece were revised and included Crete and the revered portions of Epirus, Macedonia and Thrace, where the betrayal against Romiosini and the Ecumenical Patriarchate had not yet reached. Besides this there came to Greece in 1924 hundreds of thousands of people from Asia Minor, Pontus and Cappadocia with the Asia Minor Catastrophe. These people were fanatical for and proud of Romiosini and the Ecumenical Patriarchate. Due to the overwhelming pressure of this new multitude there began spontaneous reactions and active combat against the designs of the followers of Adamantios Koraes. This is how began the revival of Romaiic or Byzantine iconography, of Romaiic ecclesiastical architecture, as well as monasticism and patristic theology and piety which are the foundations of the civilization of Romiosini. This is how Romaiic songs and Romaiic dances were saved from obscurity. The dominant spirit of this new Greece was that of Koraes, namely an awesome feeling of inferiority before Russia and Europe, a mania to imitate the Europeans, and at the same time a turning away from that which is Romaiic. It is well known how endangered and dangerous it still is for Romaiic songs and Romaiic dances to disappear and be replaced with foreign ones. B) the Marxist attack against Romiosini, which is nothing more than the above-mentioned tsarist pan-slavic propaganda dressed up as Marxism. The competition today in Greece between the intellectuals who returned to the theological tradition of Romiosini, and the followers of Koraes who remain faithful to western made theological methods, is of vital significance for the future of Romiosini. 18. A. Koraes, Collected Works, Vol. 2, p. 108. C.f. P. Chrestou, ibid., pp. 50-61. 19. For two laughable examples of this propaganda see the book of Karanikolas titled, Cassock-Wearers as the Misfortune of the State, Athens 1976. At the same time one should read the famous and humorous response by Archimandrite Meletios Kalamaras, Are the Cassock-Wearers the Misfortune of the State?, Athens 1977.